Road bikes have evolved over the past years and with the addition of disc brakes, riders can now add wider tires for more comfort and versatility. 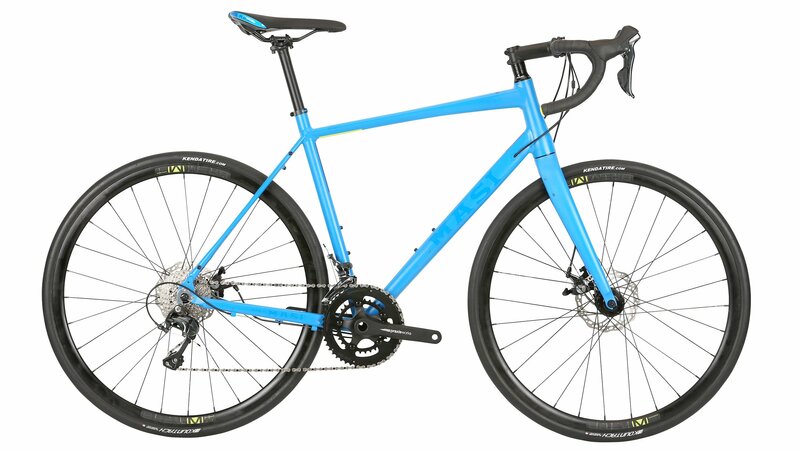 The Masi Vincere Disc Bike 2019 is an aluminum framed road bike with disc brakes and a carbon fiber fork. The frame and the fork have tire clearance for up to 32mm tires. The Vincere Disc comes with a 2x10 Shimano Tiagra R4700 drivetrain. This includes the shifter and front and rear derailleurs. It has mechanical disc brakes that perform well in various weather conditions. If it is dusty or wet, these disc brakes will perform much better than rim brakes. The Brev. M wheels are tubeless ready so you can set them up with tubeless tires and sealant for a smoother ride and fewer pinch flats. With an 11-32-tooth 10-speed cassette and a crankset with 48/32-tooth chainrings, riders will be able to climb easier and still ride long distances comfortably.